Looking for a brand new Alfa Romeo? Find one now. Browse our inventory of quality used vehicles. Financing your new or used vehicle is fast and easy. Our trained technicians provide exceptional service. Drive away in a brand new Alfa Romeo today. It was a pleasure working with the team at Alfa Romeo of Morris County. My experience with my sales executive, Philip Infantolino was very satisfactory in terms of Philip's patience and professionalism. Philip was able to add a personal touch to the car leasing experience, which was an added benefit. We conversed about personal subjects beyond the scope of leasing my new vehicle, which made the experience much more pleasurable. 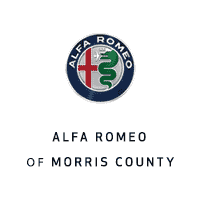 Alfa Romeo of Morris County in Whippany, NJ caters to the needs of each individual customer with premier customer service. We know that you have high expectations and we enjoy the challenge of meeting and exceeding those standards each and every time. Allow us to demonstrate our commitment to excellence! Our experienced and factory-certified staff is eager to share its knowledge and enthusiasm with you. We encourage you to learn more about our dealership, schedule a test drive and investigate financing options. You can also request more information about a vehicle using our online form or by calling (973) 434-1100.